We are a leading Exporter & Manufacturer of Miscelleneous Products Range ... such as Herbal Anti Obesity Weight Loss Supplement, Herbal Capsule For Blood Clotting- Hyclot Capsules, Herbal Anti- Malarial Capsules - Cinquin Capsule, Thyroid Gland Functions Balancing - Thyromin Capsule, Cholesterol Controlling Herbal Medicine - Cholecare Capsules, Painful & Bleeding Piles Herbal Treatment - DRIFT Ointment and many more items from India. Packaging Type A lammi tube of 30 gm. with an Applicator. Indications : Piles, Fissures, Hemorrhoids, Proctitis. 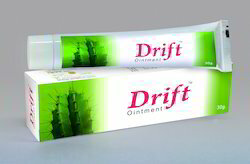 Packaging Details: DRIFT Ointment : A lammi tube of 30 gm. with an Applicator. Packaging Size A Box containing 10 Blister packs each of 10 Capsules. Packaging Type A Box containing 10 Blister packs each of 10 Capsules. Arjun Bark (Teminalia arjuna ) (Bh.P) 120 mg.
Pushkar Mool (Iris germanica) (A.B.) 90 mg.
Sarpagandha Roots (Rauvolfia serpentina ) (A.B.) 90 mg.
Arni Mool (Clerodendrum multiflorum ) (A.B.) 80 mg.
Jyotismati Seeds (Celastrus paniculatus ) (A.B.) 60 mg.
Lasan Bulbets (Allium sativum ) (A.B.) 60 mg. Indications : Useful to reduce Cholesterol, Regulates plasma LDL &HDL Level. Useful in mild to moderate Hypertension and associated symptoms like Anxiety & insomnia. Can be freely given for a longer period if needed. Packaging Details: CHOLECARE Capsule : A Box containing 10 Blister packs each of 10 Capsules. Guggul Shuddha (A.B.) 200 mg.
Loha Bhasma (R.T.S.- I) 40 mg.
Chitraka Roots (Plumbago zeylanica) (A.B.) 30 mg.
Vidanga Fruits (Embelia ribes) (A.B.) 30 mg.
Nagarmoth Tubers (Cyperus rotundus) (A.B.) 30 mg.
Kadu Rhizomes (Picrorhiza kurroa) (A.B.) 20 mg. Indications : Obesity, Abnormal Deposition of Fat. 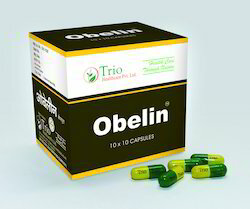 Packaging Details: A box containing 10 blister strips & each Strip contains 10 capsules of OBELIN. DOSAGE : 1 to 2 Capsules every morning after tea or coffee or as directed by the Physician. PRESENTAION : A Box containing 10 Blister packs each of 10 Capsules. CINQUAIN is a QUININE product without QUININE and its drastic effects. CINQUAIN is very effective in treatment and prophylaxis of Malaria and its effects. CINQUAIN the herbal anti-malarial drug of choice, with dominating effect, in malaria, resistant to Chloroquine and similar anti-malarial drugs, without causing any injurious effects to the patients. It can be freely used, for a longer duration if needed. It contains the age old medicines supplemented by other antipyretic and febrifuge herbs. Cinchona Bark (Cinchona officinalis) (Bh.P.) 150 mg.
Kuberaksha Seeds (Caesalpinia crista) (A.B.) 100 mg.
Aranya Jirak Seeds (Nigella sativa) (A.B.) 50 mg.
Katuka Rhizomes (Picrorhiza kurroa) (A.B.) 50 mg.
Kirata Tikka Panchang (Swertia chirayita) (A.B.) 50 mg.
Saptaparna Chhal (Alstonia scholaris) (B.N.R.) 50 mg. This drug may be avoided during Pregnancy. CINQUAIN Capsule : 2 Capsules 3 Times a day, for 3 Days, thereafter 2 Capsule 2 times a day for subsequent days, OR as directed by the Physician. It can be given for a longer period if needed. CINQUAIN Capsule : A Box containing 10 Blister packs each of 10 Capsules. Packaging Details: CINQUIN Capsule : A Box containing 10 Blister packs each of 10 Capsules. In obesity and disturbed fat Metabolism. OBELIN restores normal physique with NO TOXIC effects. A constitutional treatment. OBESITY is a threat to the major organs. 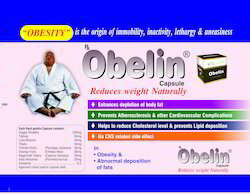 OBELIN CAPSULE, by causing the lipogenesis, increases fat burn. By increasing the catabolism of fats it dissolves fat from the adipose tissues. Its effect is doubled when the persons observes dietic control, and regular exercise. Obesity, abnormal deposition of fats, corrects assimilation and elimination process, treats “VAAT-PRAKRITI”, increases energy output, and burns fat deposition. Assures normal activity, normal life, and normal fat disposition. Useful in obesity due to Heredity, long sickness, menstrual irregularities like amenorrhea, and in endothermic constitutions gives EXOTHERMIC effect. 1 to 2 Capsules 2 or 3 Times a day, or as directed by the Physician. A box containing 10 blister strips & each Strip contains 10 capsules of OBELIN. Packaging Size Box of 10x10 Caps. * Enhances fibrin clot formation. * Stops bleeding by constricting wounded blood vessels. * Strengthens capillaries, restores haemostasis. * Enhances the natural process of clotting. * Act as a hemostatic which controls local tissue hemorrhage effectively. * Soothes and protects irritated or inflamed internal tissues. * Helps to heal the wounds more quickly. * Act as a vasoconstrictor that stops capillary blood flow. * It has hemostatic, anti-inflammatory and antioxidant properties, which control local tissue hemorrhage, inflammation and oxidative tissue damage respectively. HYCLOT capsule is a dual acting hemostat. HYCLOT capsule checks bleeding either internal or external, faster by constricting of wounded vessels and maintaining capillary permeability. HYCLOT capsule shortens recovery period by reducing blood loss. Calcium in HYCLOT capsule, accelerates clotting, checks capillary fragility. HYCLOT capsule is the drug of choice in bleeding of various origin, surgery, gynecology, medicine, dentistry. Surgical and gynecological hemorrhages, after dental extraction, heavy bleeding, hemorrhoids, haemostasis, epistaxis, hematuria open wounds and injury. 1 to 2 capsules three times a day or as directed by the physician. Box Pack of 10X10 Capsules. It especially cleanses the whole lymphatic system and is one of the best formulations for glandular enlargement including thyroid gland. It helps loose the hard cystic and fibrous swelling. Balance functioning of Thyroid Gland & helps reduce its enlaged size. Reduces swelling of the Lymph nodes of the neck tumors and goiter. Recommended as a supportive supplement in Hypothyroidsm, Lymphadenitis. Offers immunomodulator, antioxidant, anti inflammatory and antiviral effect. Pregnancy or any dryness in the body. 1 to 2 Capsules to be taken after meals with warm water for 3 to 6 months or as directed by the Physician. 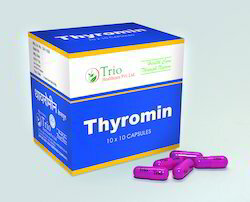 THYROMIN Capsule : A Box containing 10 Blister packs each of 10 Capsules. Packaging Details: THYROMIN Capsule : A Box containing 10 Blister packs each of 10 Capsules. Neem Leaves (Azadirachta indica) (A.B.) 40mg. Mamejava Panchang (Enicostema littorale) (A.B.) 30mg. Karela Fruits (Momordica charantia) (A.B.) 30mg. Methi seeds (Trigonella foenum-graecum) (A.B.) 30mg. Saptarangi Panchang (Caesaria esculenta) (B.P.) 30mg. Madhunashini Panchang (Gymnema sylvestre) (A.B). 30mg. Amala Fruits (Phyllanthus emblica) (A.B.) 20mg. Bilwa Fruit Pulp (Aegle marmelos) (A.B.) 20mg. Taravada Flowers (Cassia auriculata) (A.B.) 20mg. Vasanta Kusumakara Rasa (R.T.S.- I) 20mg. Tribanga Bhasma (R.T.S.- I) 20mg. Jayphal Seeds (Myristica fragrans) (A.B.) 10mg. Banga Bhasma (R.T.S.- I) 10mg. Indications : For Comprehensive Diabetes Control in Type-II Diabetes. Non Insulin Dependent Diabetes Mellitus. Diabetes in Non-Obese or Obese Patients. Adjuvant to Allopathic Anti Diabetic Drugs. Packaging Details: A box containing 10 blister strips & each Strip contains 10 capsules of QUIZZ. Wash the hair with warm water, dry it, and the gently massage Qushbu Oil with finger tips on scalp and hair. Qushubu Oil is available in 100 ml. packing. 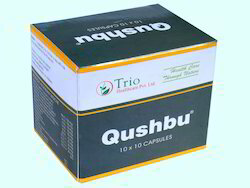 Qushubu Capsule : Box Pack of 10X10 Capsules. Bacterid Syrup possesses immune-modulator and anti-inflammatory properties, which potentiate the non-specific immune responses of the body. Bacterid stimulates phagocytosis by macrophage activation, increases the polymorphonuclear cells and helps overcome infection. Bacterid builds up resistance to infection and helps prevent re-infection. Infants : ½ to 1 Teaspoonful two or three times a day. Children : 1 to 2 Teaspoonful two to three times a day. Adults : Proportionally higher, or as directed by the Physician. DIABETES a metabolic disorder involving high BLOOD SUGAR levels due to the non-functioning of a Key-hormone called INSULIN. Simply say, GLUCOSE obtained from our diet, is our Body's fuel. Our body and organs are made up of TISSUES, which are made up of Cells. Cells grab Glucose from the Blood and burn it for energy. The Gate through which Glucose enters into cells is controlled by Insulin, a pancreatic hormone produced by Pancreas, which acts as a KEY. If the Insulin is Defective, the Glucose Gates remain shut and Cells don't get Energy fuel. The Patients feel Very Tired. One of the Body's most basic and essential functions is the absorption of Nutrients from food. Carbohydrate metabolism is the process by which glucose is regulated in the body and converted in to energy. About 85% of patients with diabetes have type II or Non- Insulin dependent Diabetes mellitus. Their bodies produce some Insulin, but either it is not enough or it doesn't work properly enough to funnel glucose in to their cells. When diagnosed, most people with type II diabetes are over 40 and overweight. Symptoms are usually not pronounced and appear over a long period of time. Type II diabetes sometimes can be controlled through carefully planned diet and exercise, but oral medications are usually necessary. In some cases InsulinInjections may be needed. DOSAGE :Quizz Syrup : one to two teaspoonful two to three times a day or as directed by the Physician. 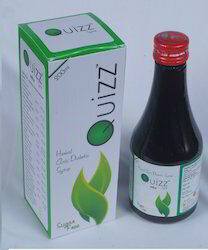 PRESENTAION :Quizz Syrup : 200 ml pet bottle with attractive outer carton box. Qushubu Capsule: Box Pack of 10X10 Capsules. 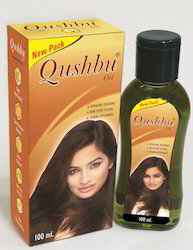 Wash the hair with warm water, dry it, and the gently massage Khushbu Oil with finger tips on scalp and hair. Khushbu Oil is available in 100 ml. packing. Packaging Details: Qushubu Oil is available in 100 ml. packing. OBESITY is a threat to the major organs. 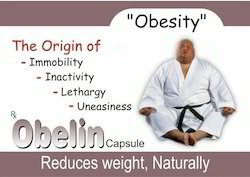 OBELIN CAPSULE, by causing the lipogenesis, increases fat burn. By increasing the catabolism of fats it dissolves fat from the adipose tissues. Its effect is doubled when the persons observes dietetic control, and regular exercise. 1 to 2 tablets every morning after tea or coffee or as directed by the Physician. 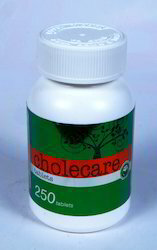 CHOLECARE Tablet : A Jar Pack of 250 Tablets. Cinquain Tablet : 1 to 2 tablets 2 times in a day after meal or as directed by the Physician. Cinquain Tablet : A Jar Pack of 250 Tablets. Effectively reduces distressing symptoms of common cold. Clears stuffy nose, relieves headache due to cold. Reduces fever, Pain and muscular discomfort. Ensures goodnight sleep for patient and the family. 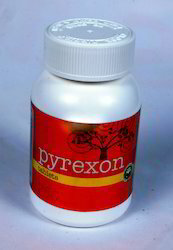 Pyrexon Tablet is totally free from side effect. Viral Fever, Common Cold, Flue, Influenza, Headache, Body-ache and fever, Pyrexia of unknown origin and seasonal perennial Rhinitis. 1 to 2 Tablets two to three times in a day or as directed by the Physician. 1 to 2 Tablets to be taken after meals with warm water for 3 to 6 months or as directed by the Physician. 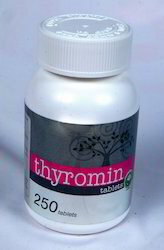 THYROMIN Tablet : A Jar Pack of 250 Tablets.